This year, the Toronto Design Offsite Festival Hub is located at Bosley Real Estate on Queen Street West. Festivalgoers are encouraged to stop by to pick up their festival guides, plan their route, and meet other design enthusiasts. At the hub, you will also get to see an exhibition centered around the theme ‘Heat Wave’. The exhibition included pieces from nine local designers and artists, including ‘Basilica Lamp’ by Matt MacDonald, ‘Candle Plunger’ by Gord Peteran, and ‘Everlasting Wild’ by Villa Villa. Why is the Festival Hub a perfect place for TO DO festivalgoers to start out their journey? It’s centrally located to many of the exhibitions and events, they can pick up their festival guides and plan their route for the day. There’s also the exhibition Heat Wave, which can give them a taste of the designs that they’ll see during the festival. Why was the theme ‘Heat Wave’ chosen for this year’s Festival Hub and what do you hope festivalgoers will take away from visiting? We wanted to bring a little summer and escape to our cold January weather, and I hope that they take away inspiration and some summer rays! What can viewers expect from your portion of the exhibition? I created the product “Faux Tropique”. It’s designed for those who lack “a green thumb” but still wish to have an element of nature in their home. 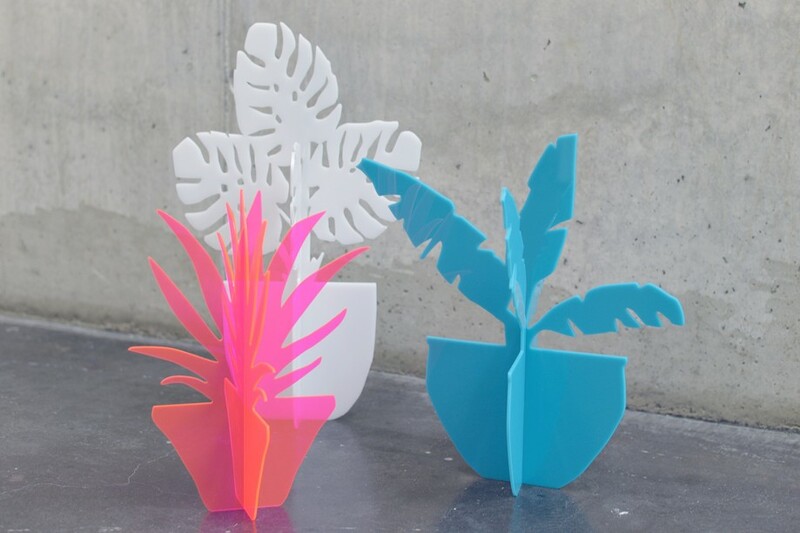 It’s a series of tropical “fake plants” that are sculptural and colorful. How has being a TO DO team member as well as a designer affected your contribution to the hub? In terms of the curation of the show, I wanted to feature designers that have been past participants as well who haven’t. I also wanted it to be some objects that are prototypes and some that are in the market. As for my piece, the concept fit the theme, so it was a natural fit. The Festival Hub’s opening reception was on Monday night, but festivalgoers can still see the exhibition and pick up their guides all week long at Bosley Real Estate.